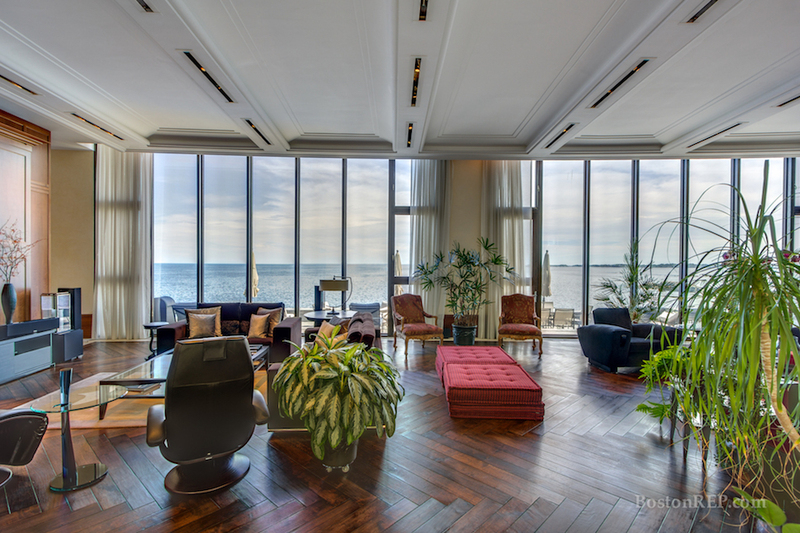 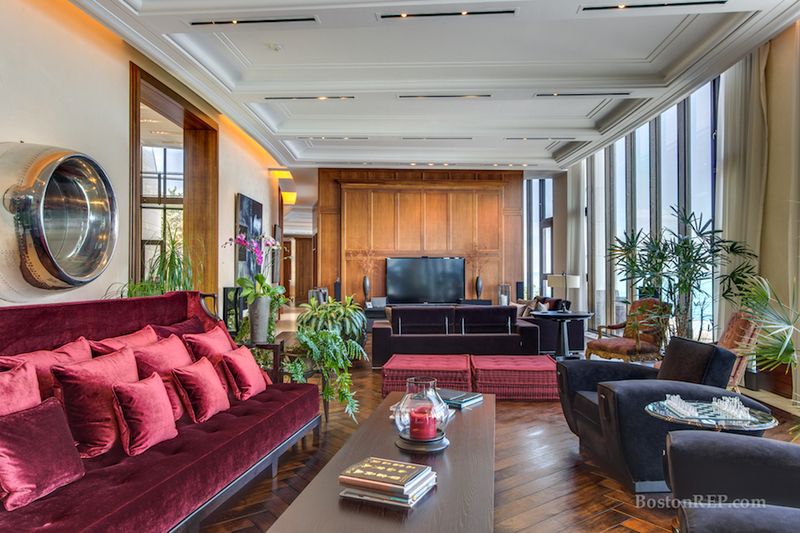 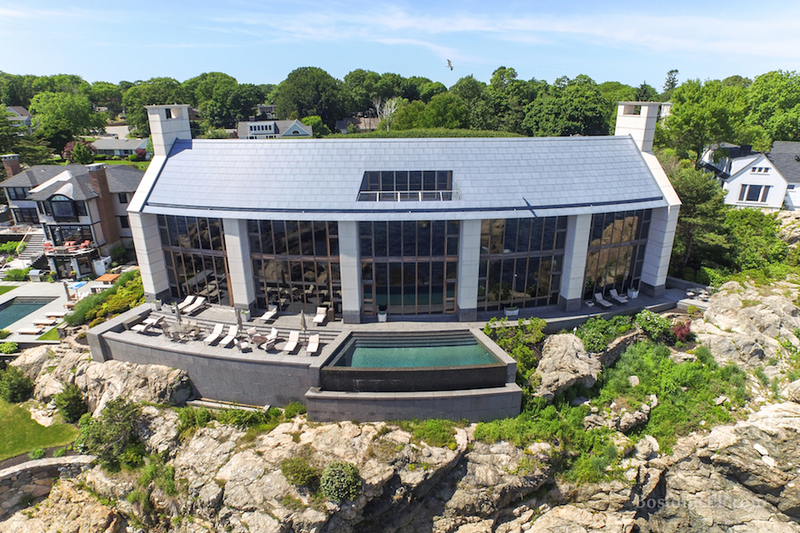 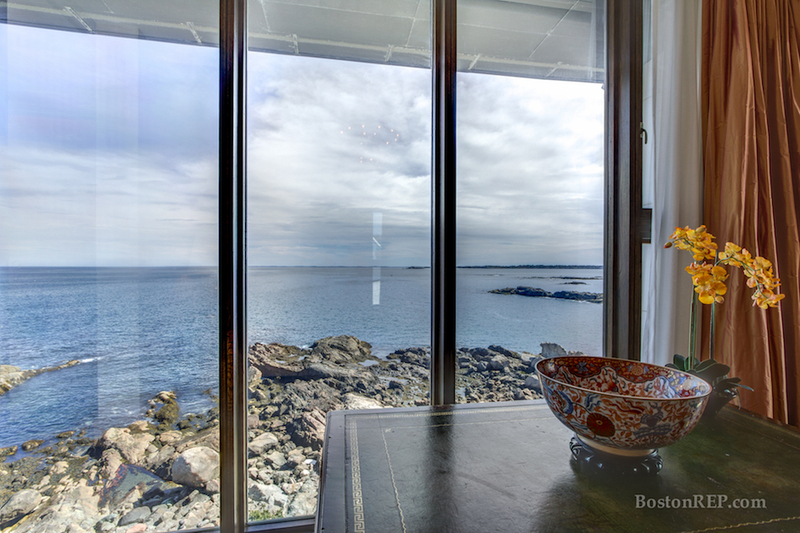 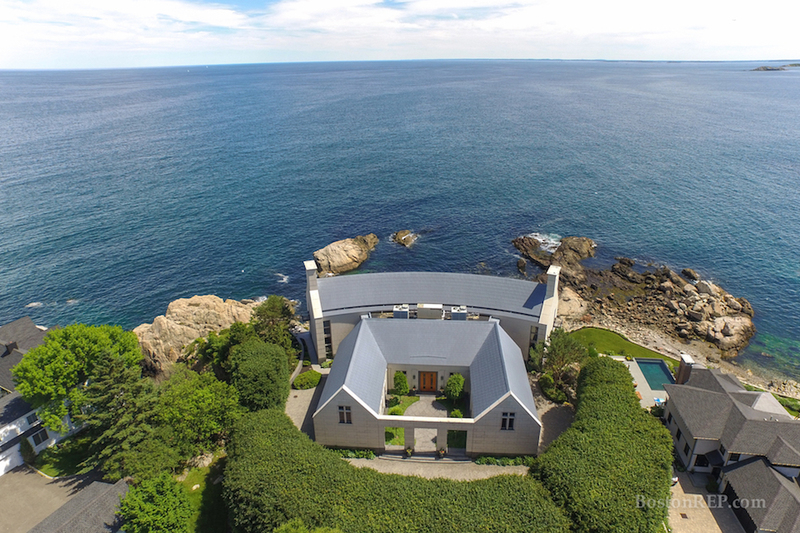 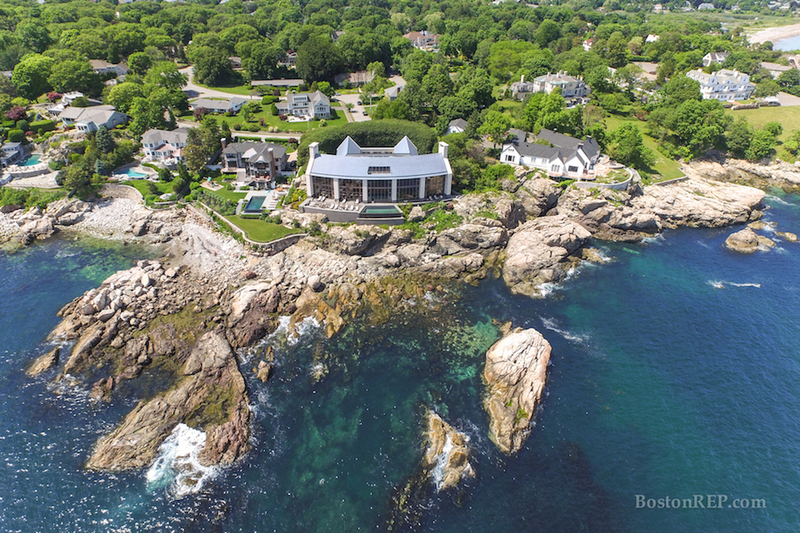 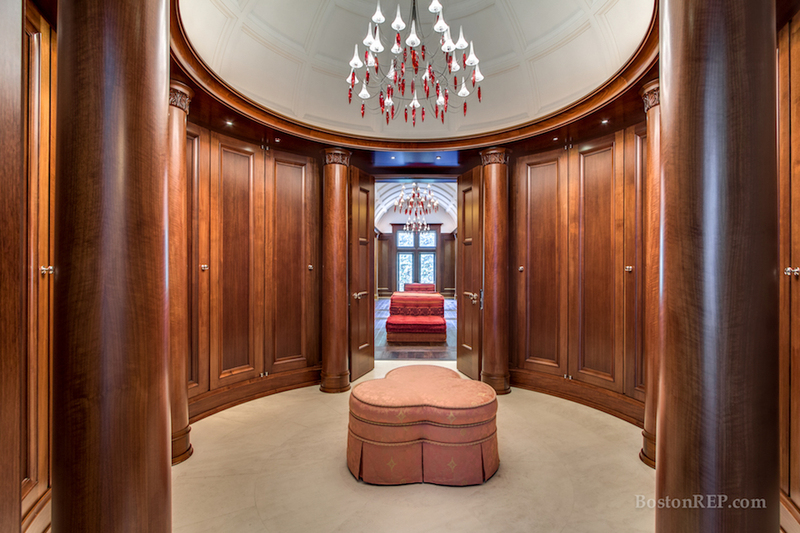 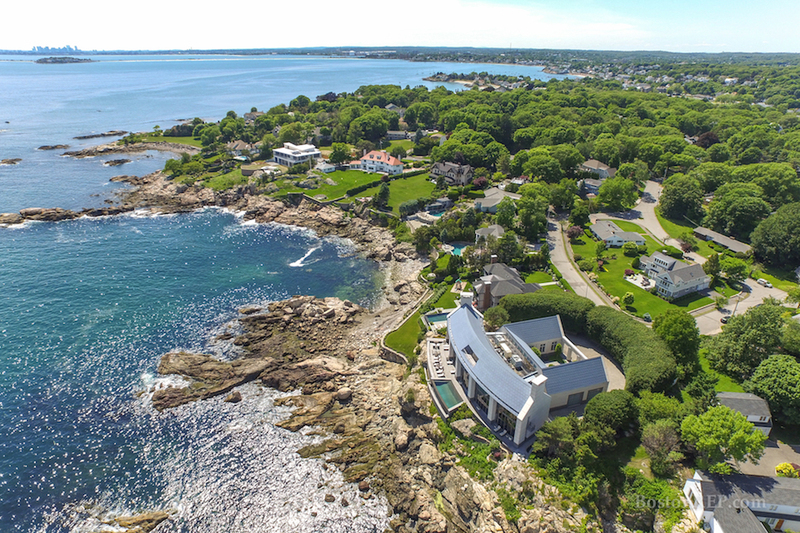 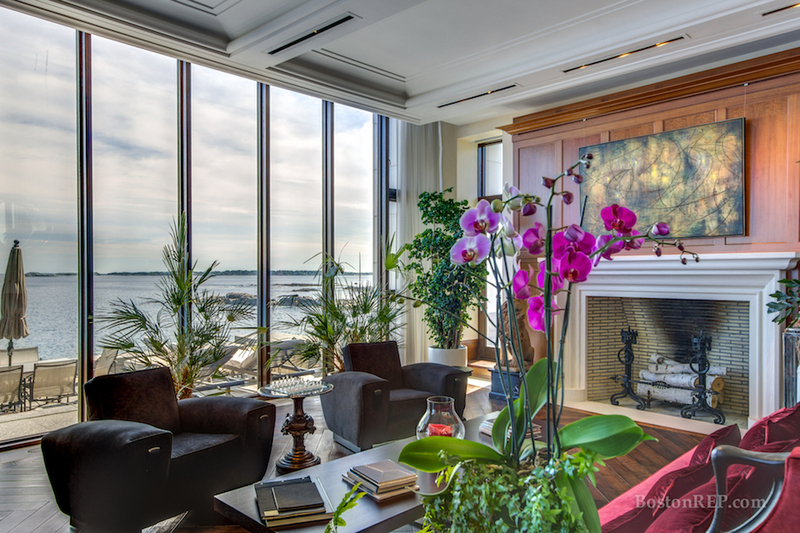 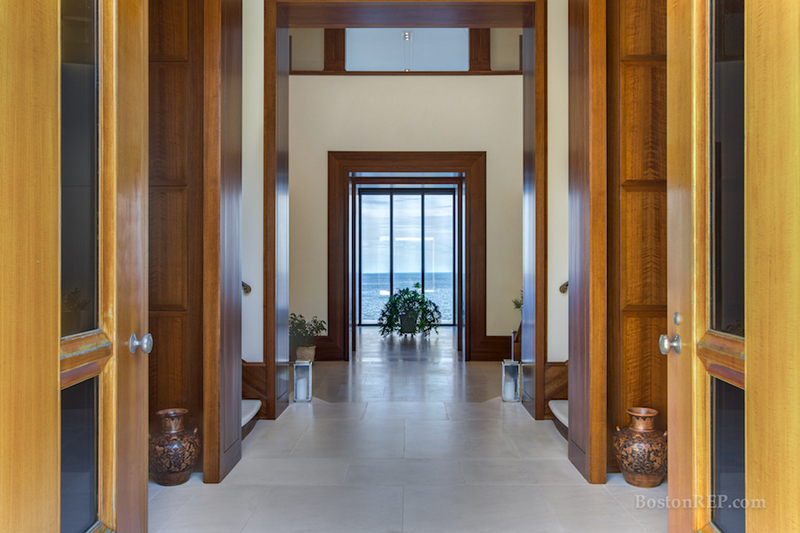 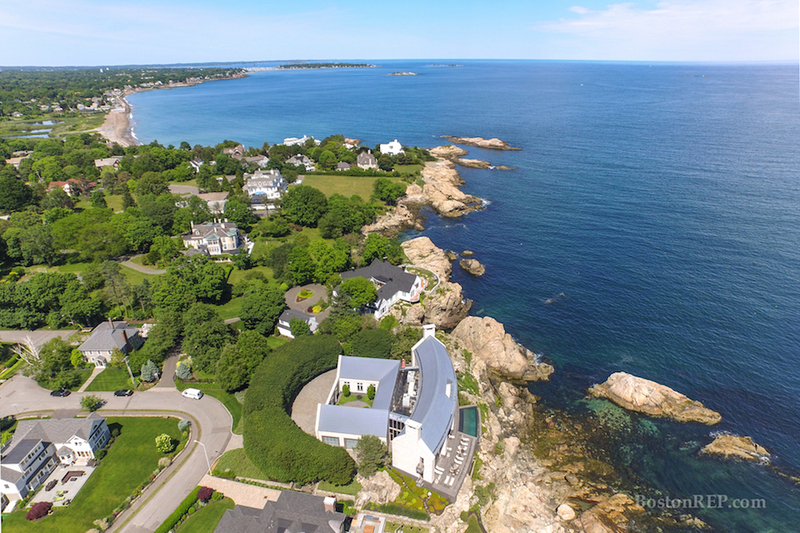 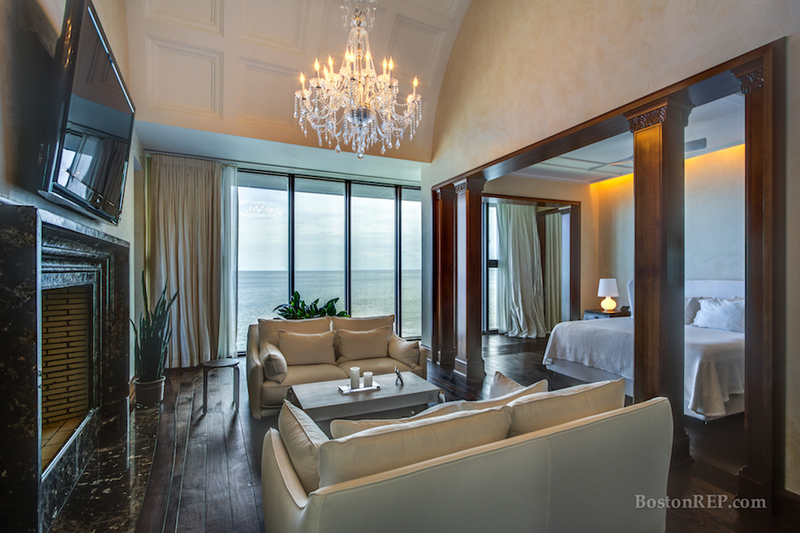 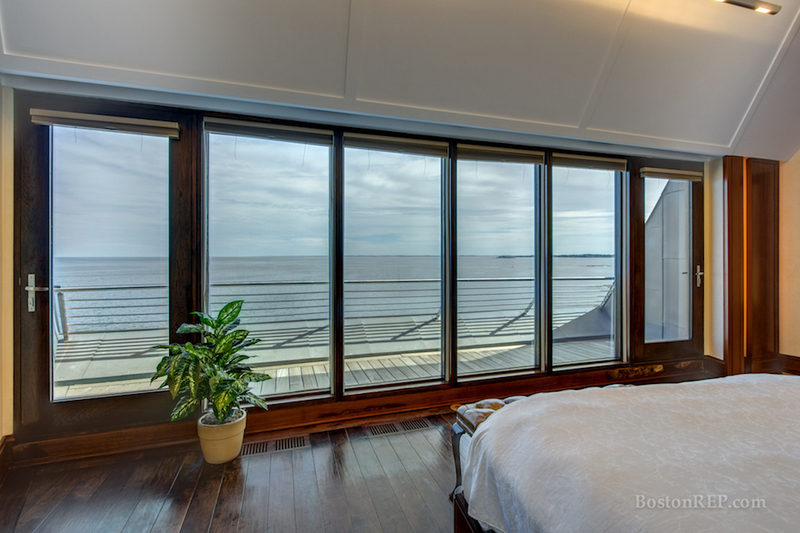 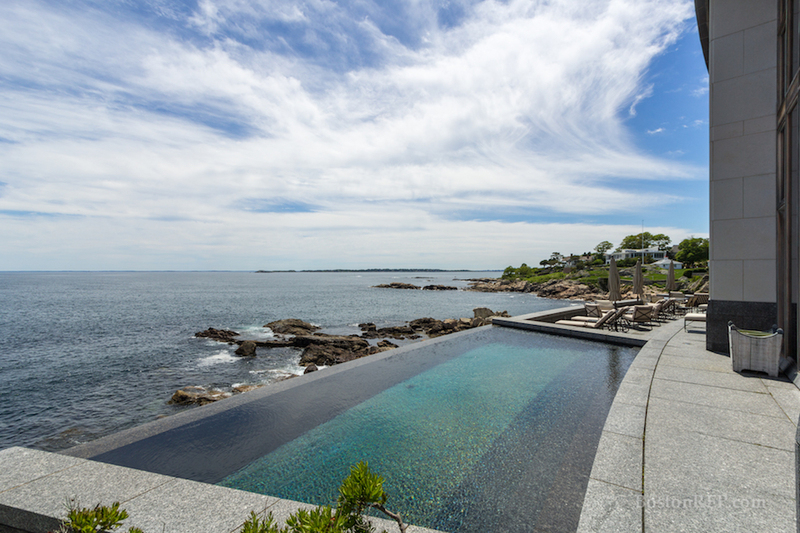 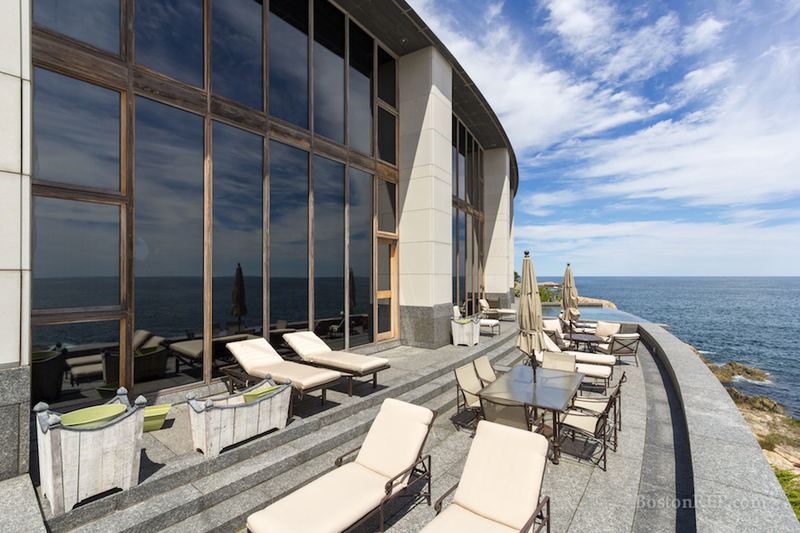 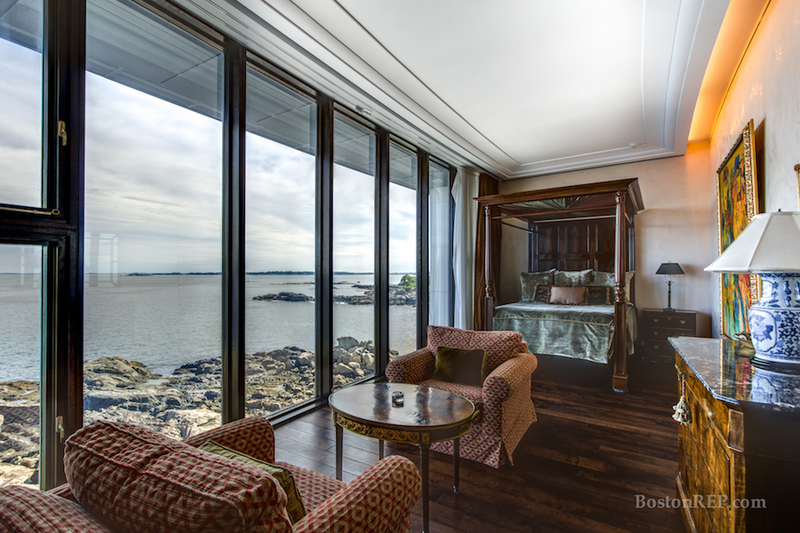 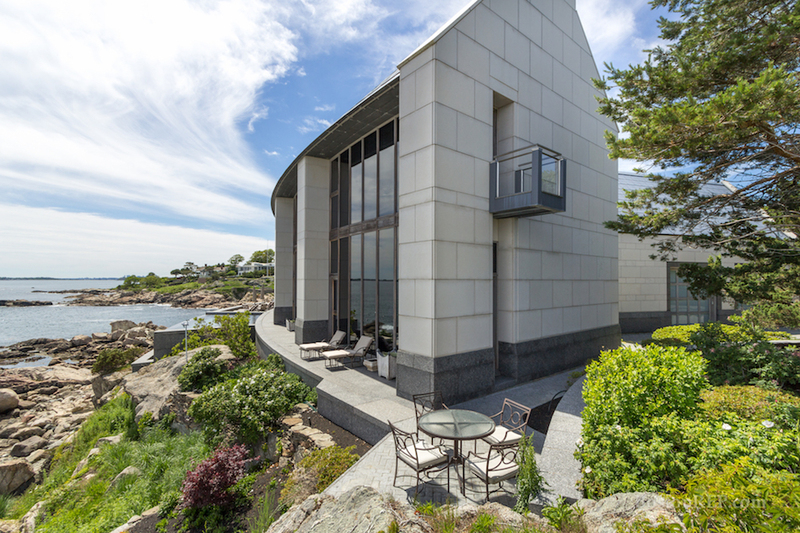 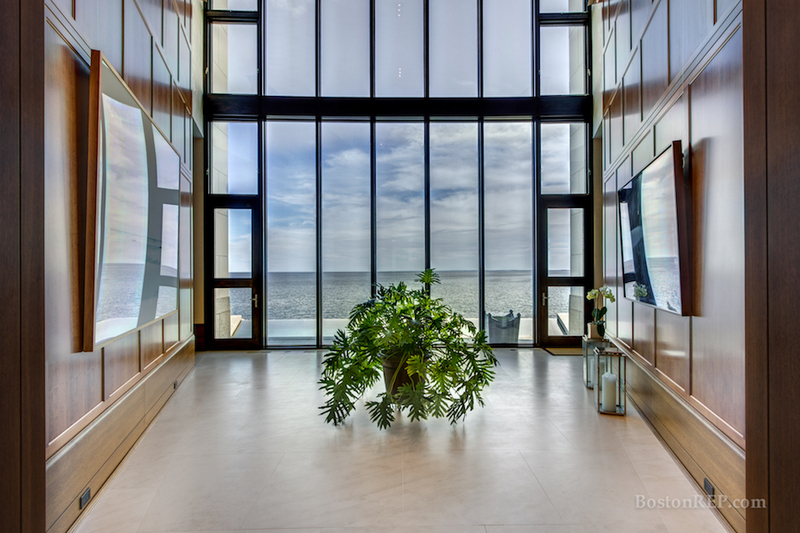 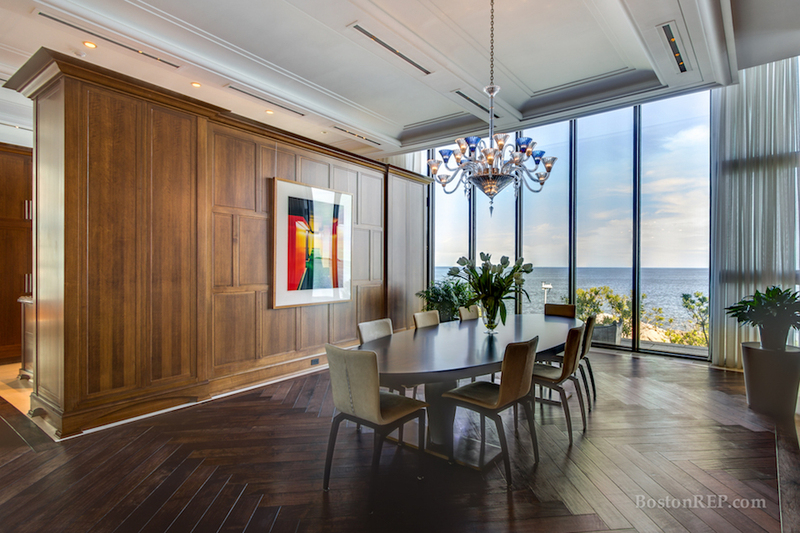 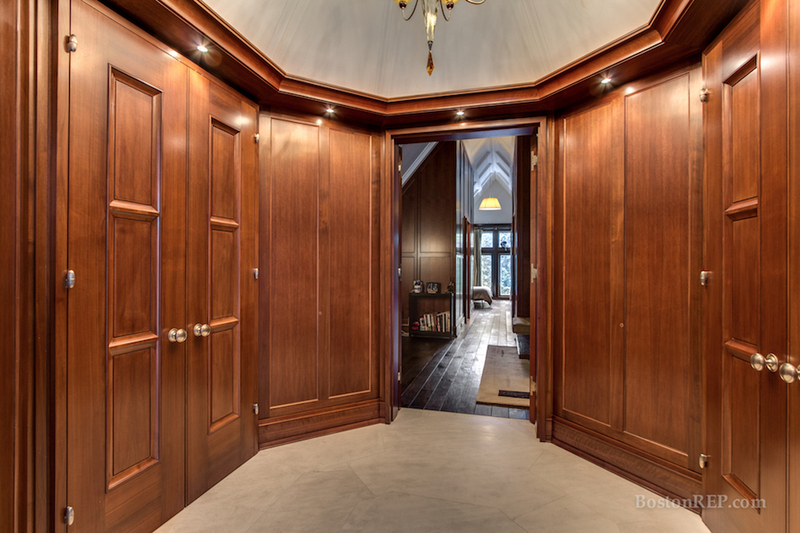 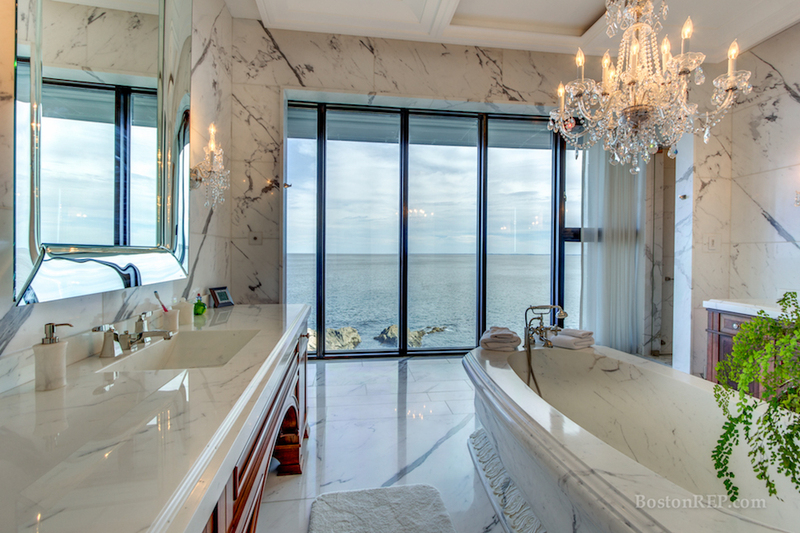 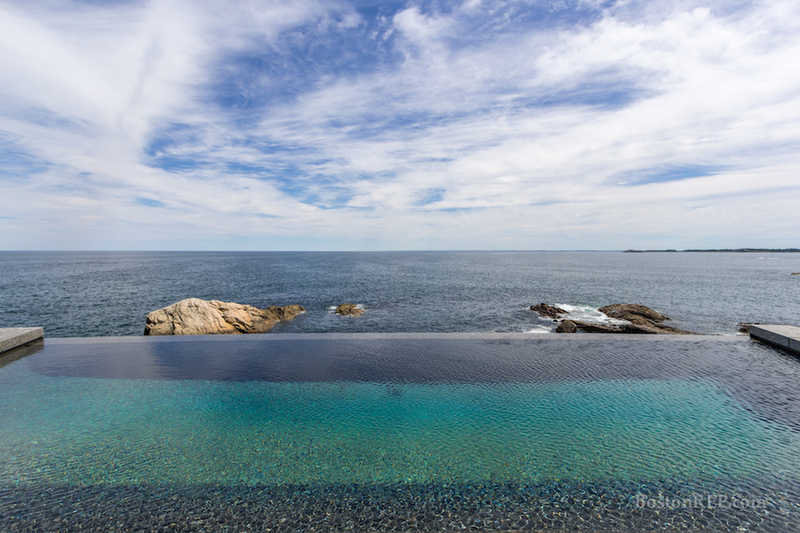 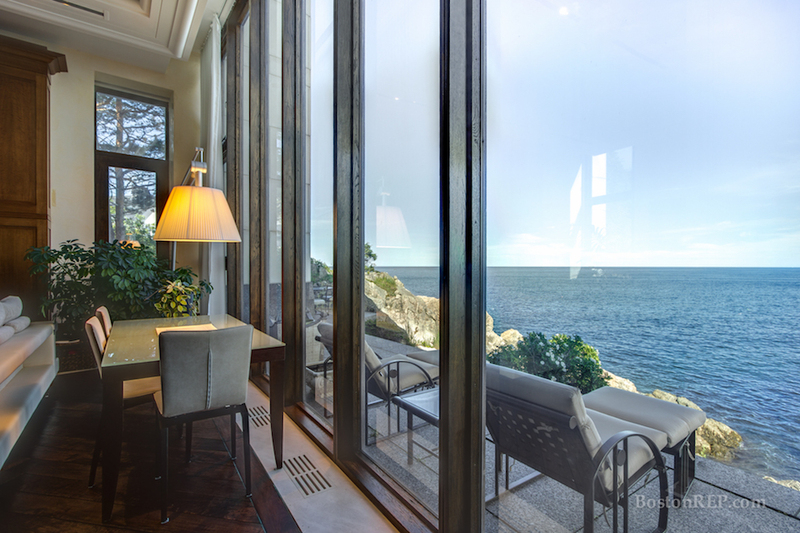 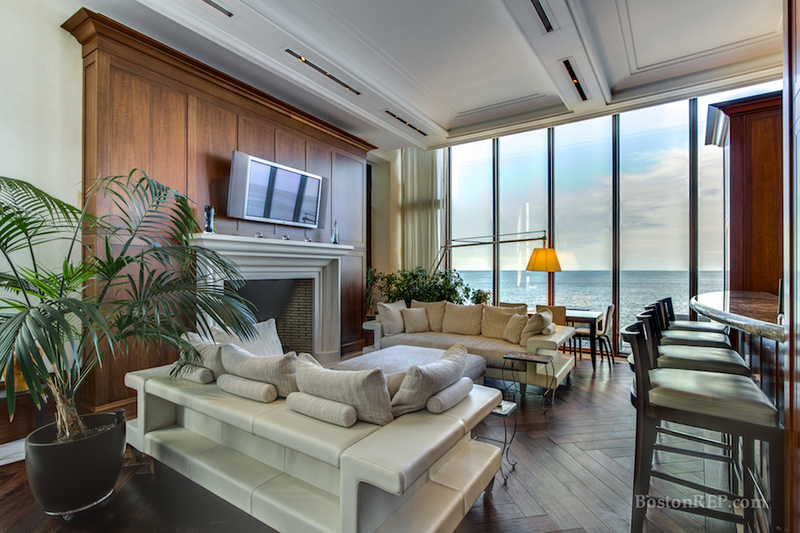 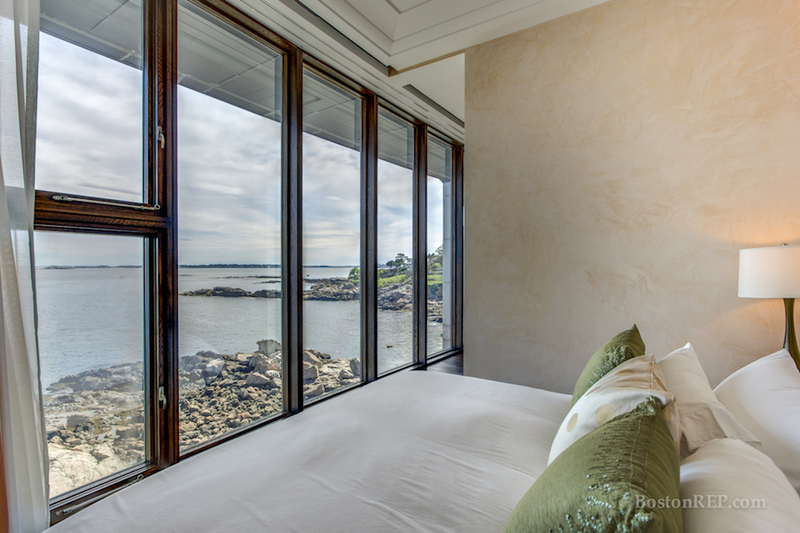 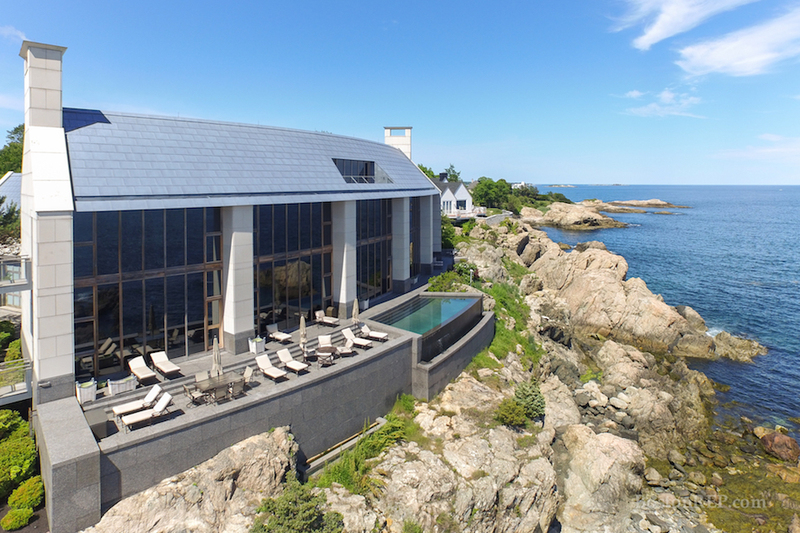 A spectacular custom oceanfront home has sold in Swampscott, Massachusetts for $7,700,000. 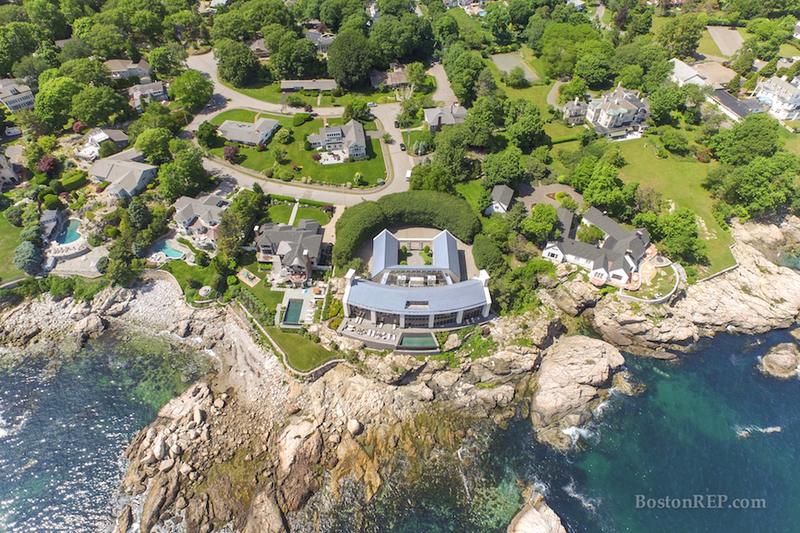 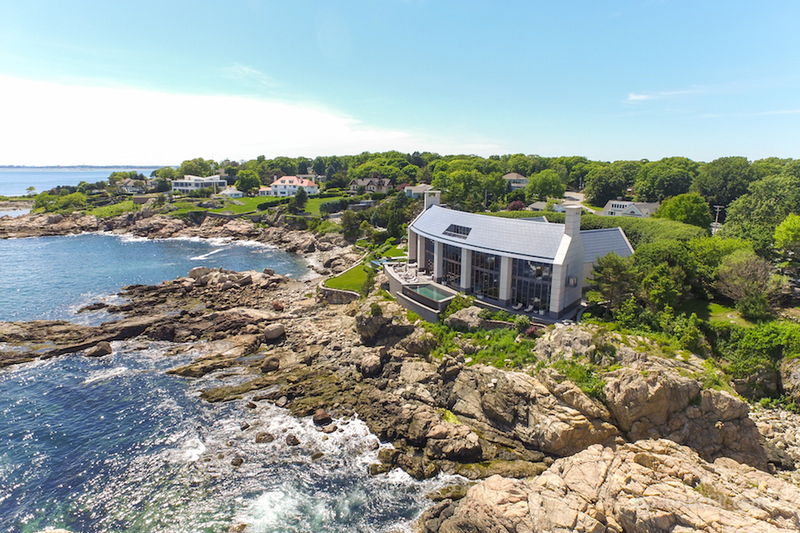 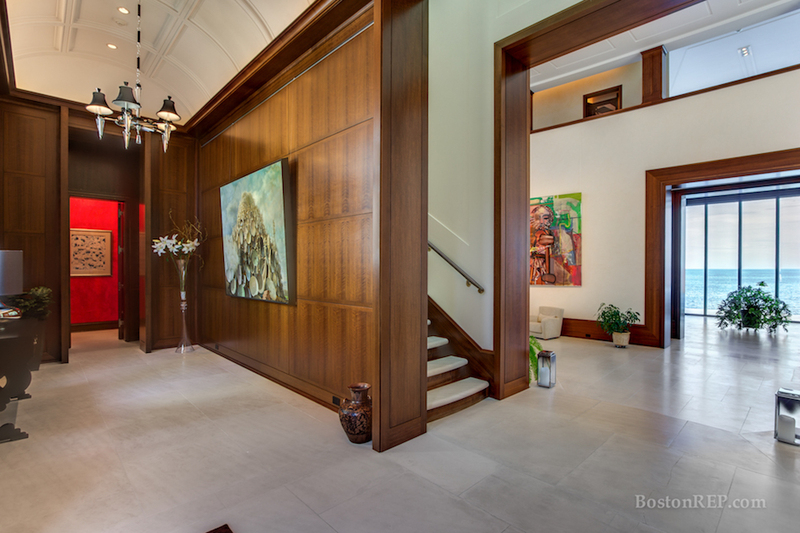 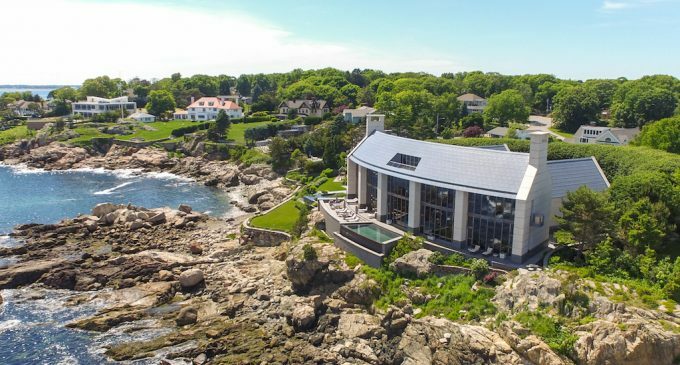 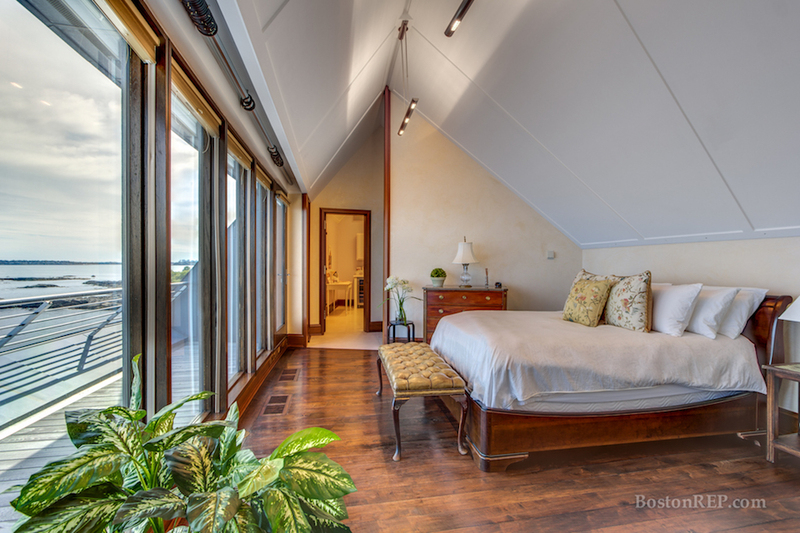 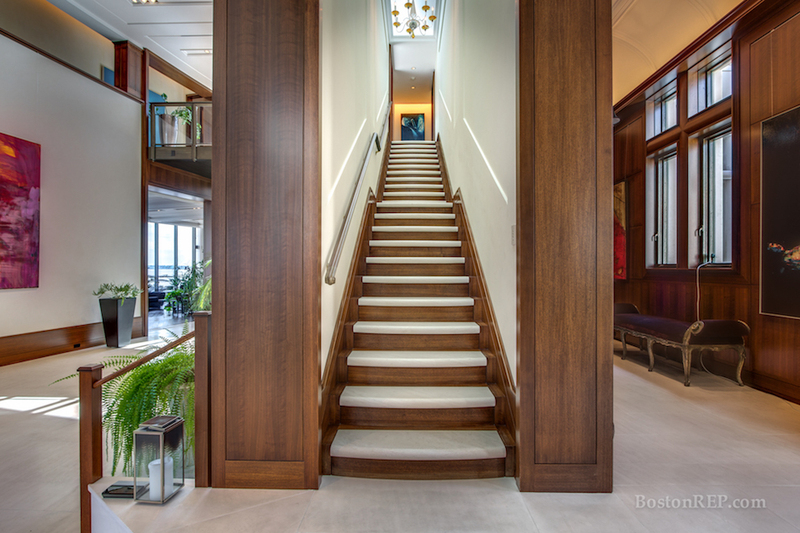 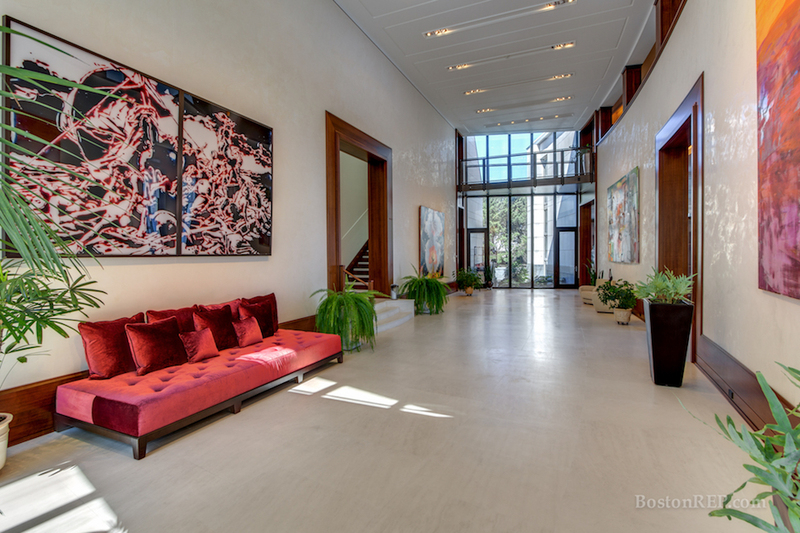 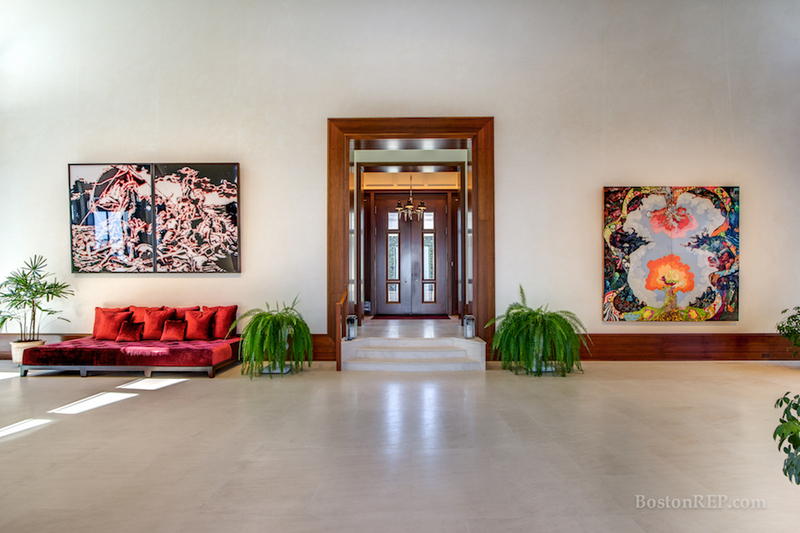 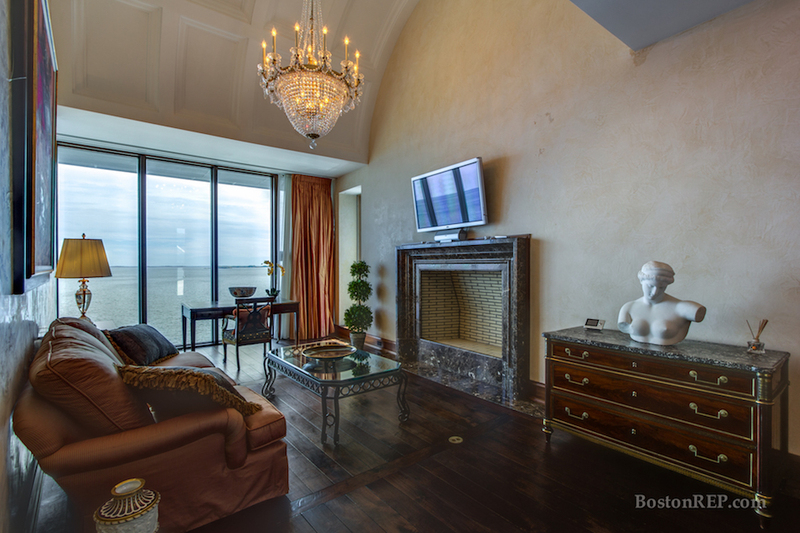 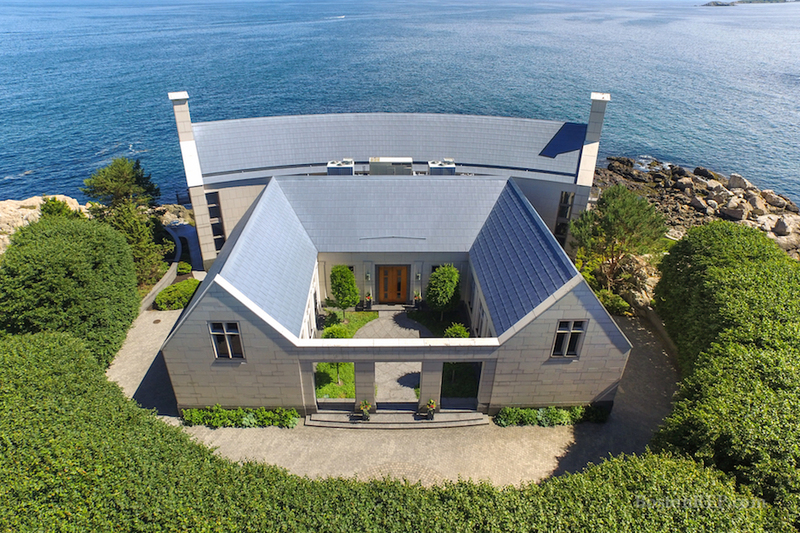 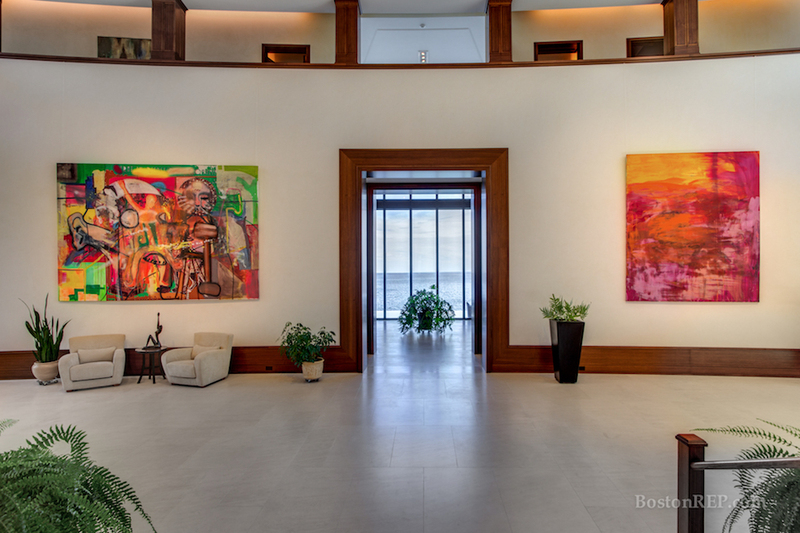 Touted as one of the most spectacular homes in New England, this 16,500 square foot architectural marvel sits elevated on a 0.96 direct waterfront estate with breathtaking views over the Massachusetts Bay. 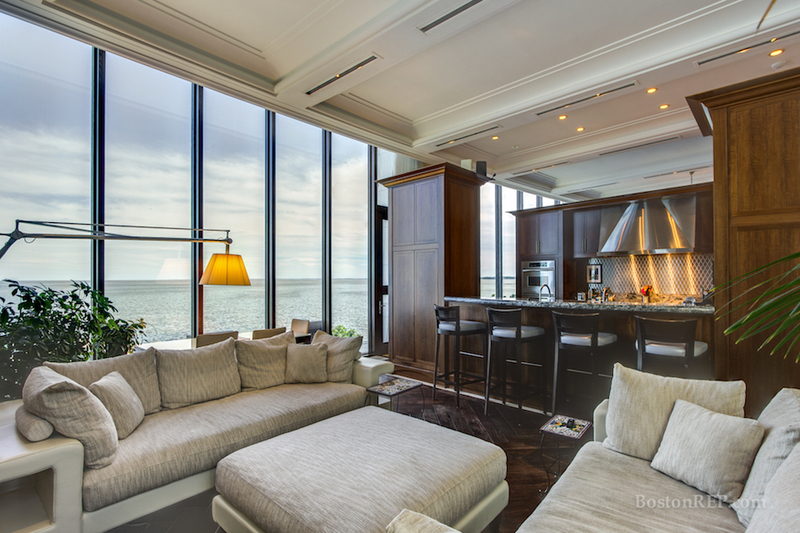 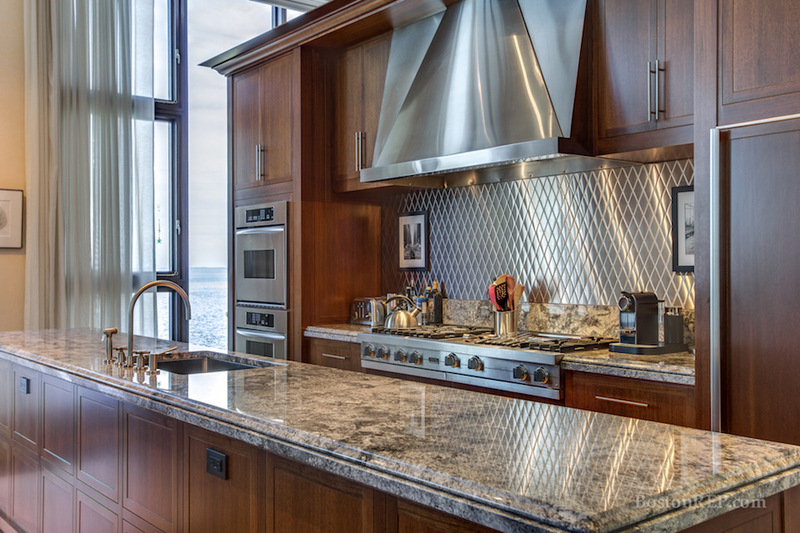 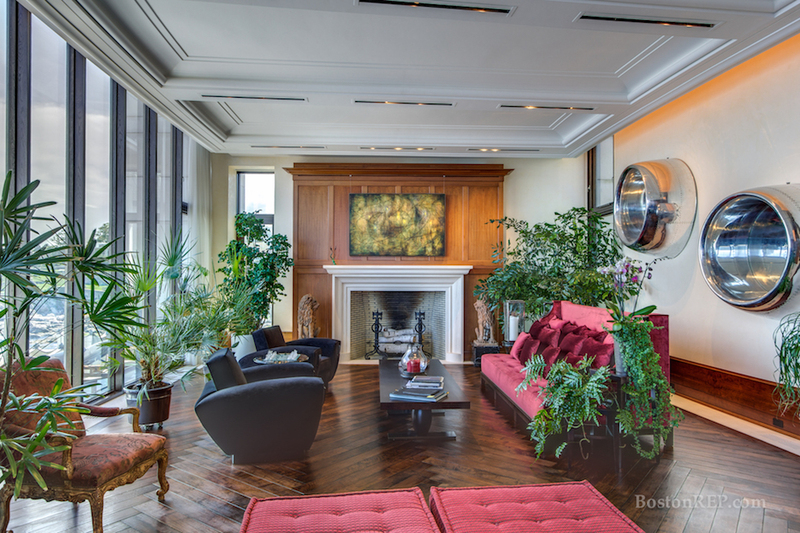 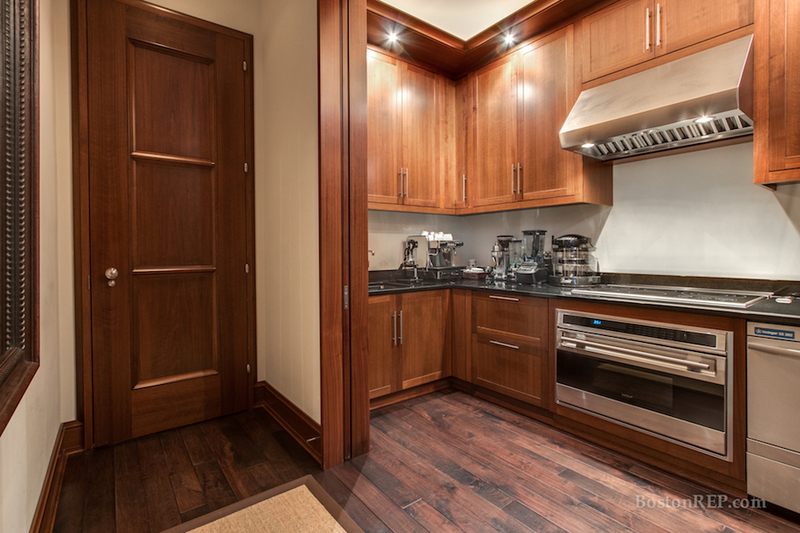 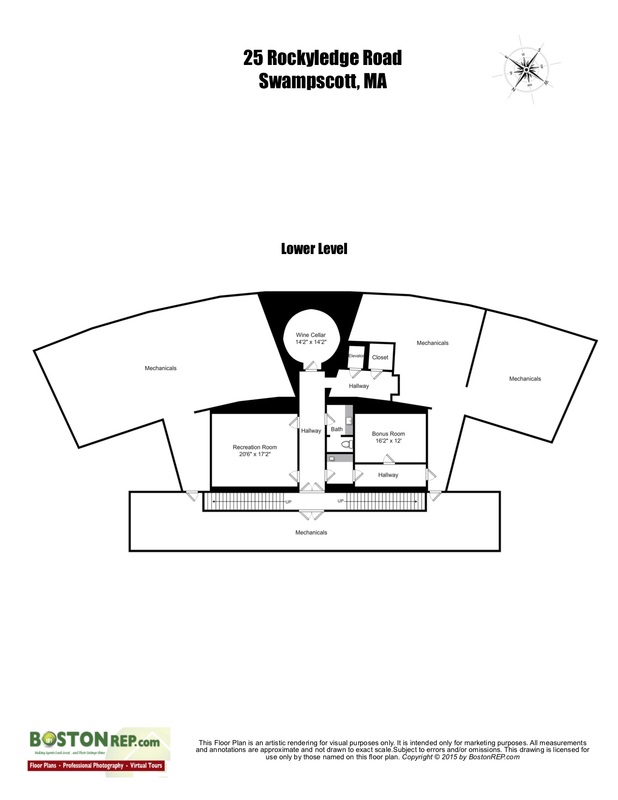 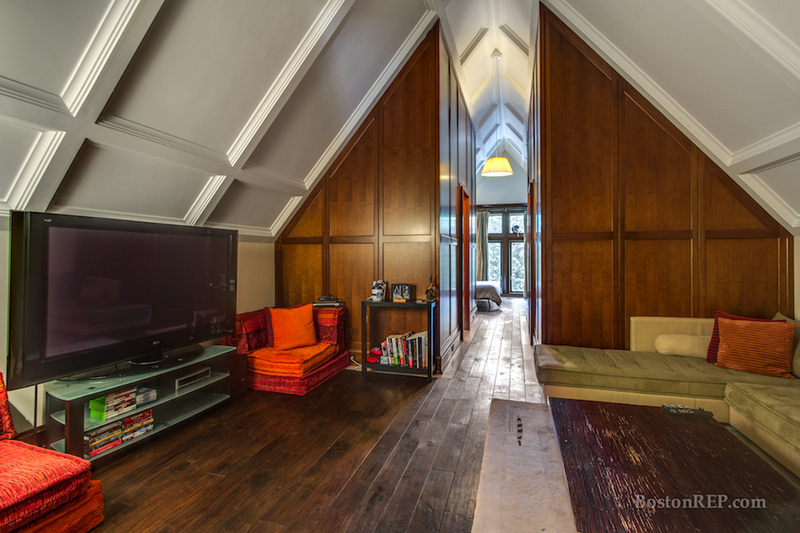 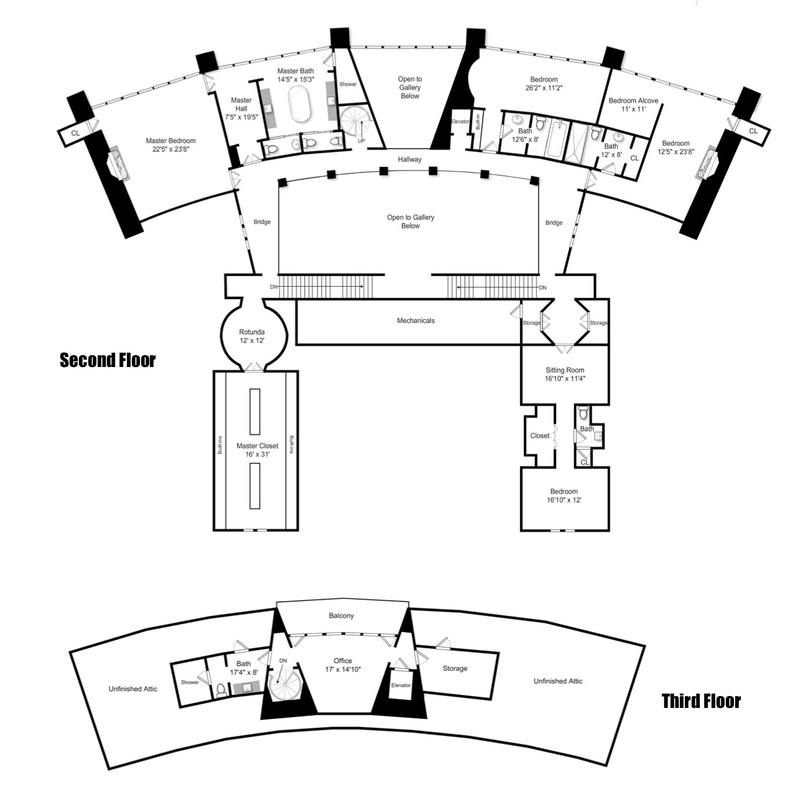 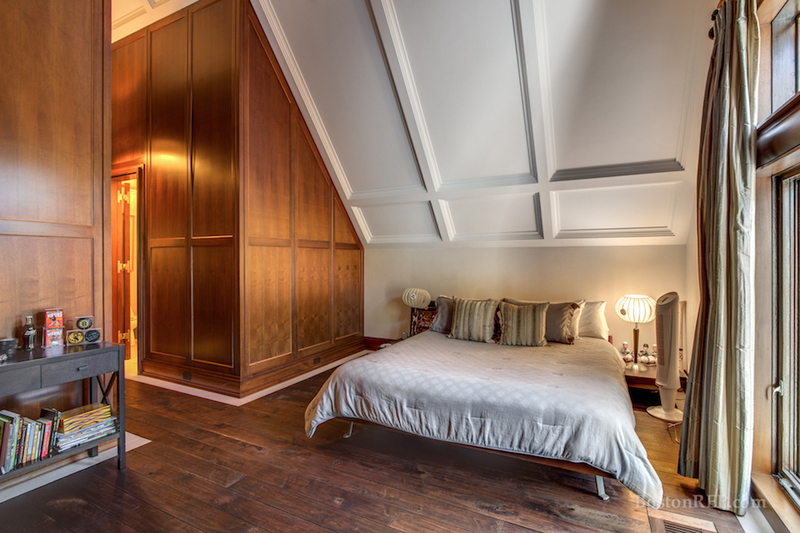 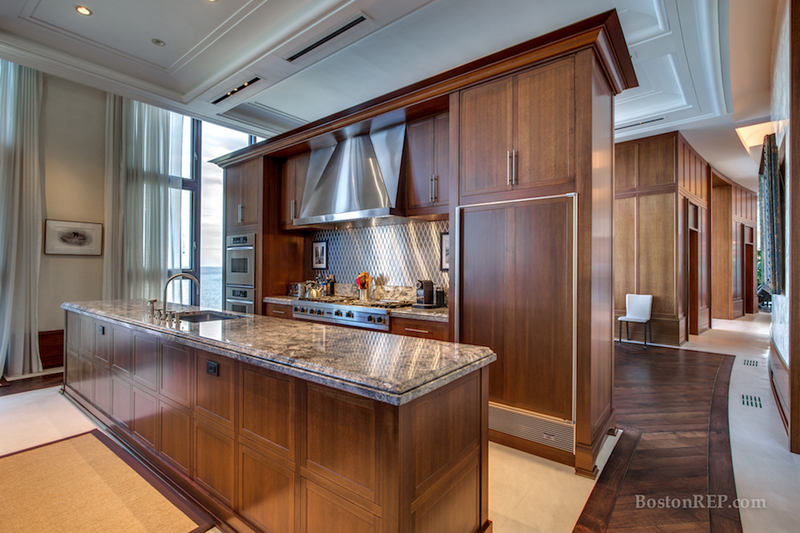 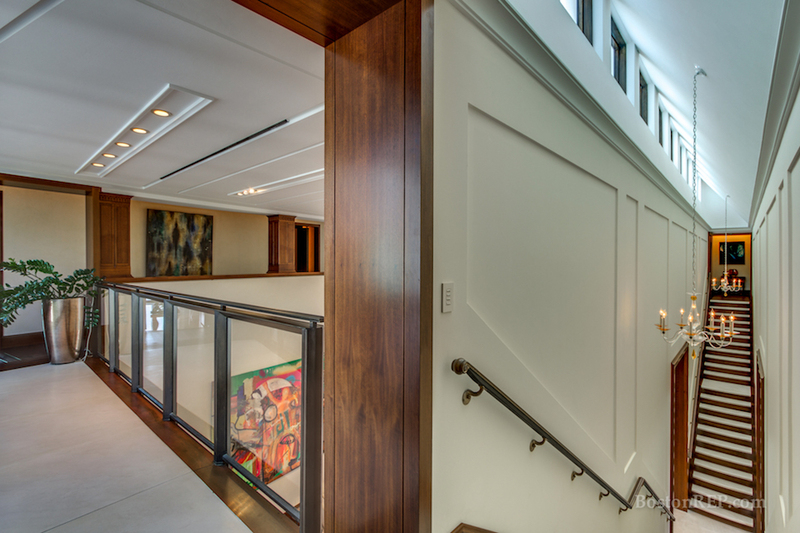 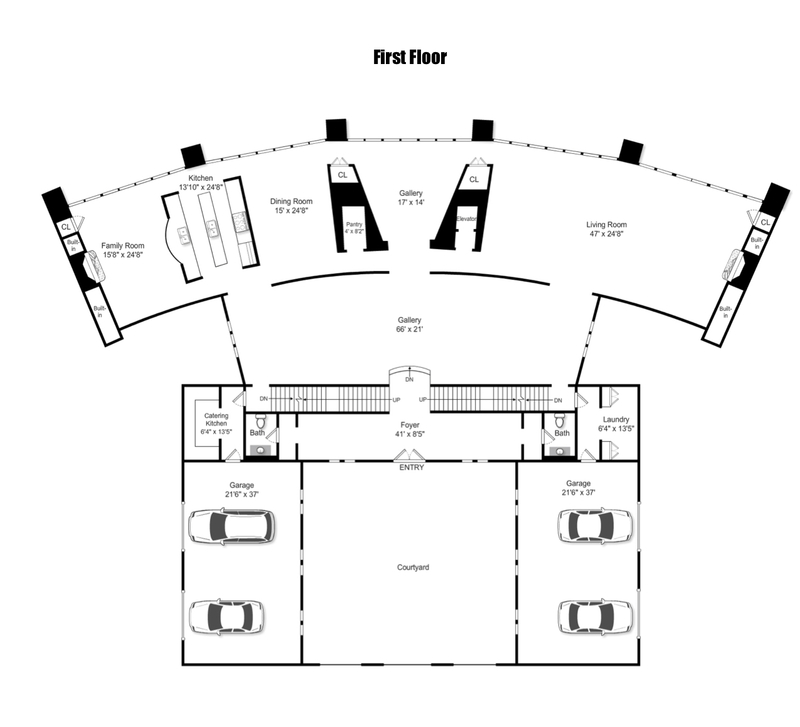 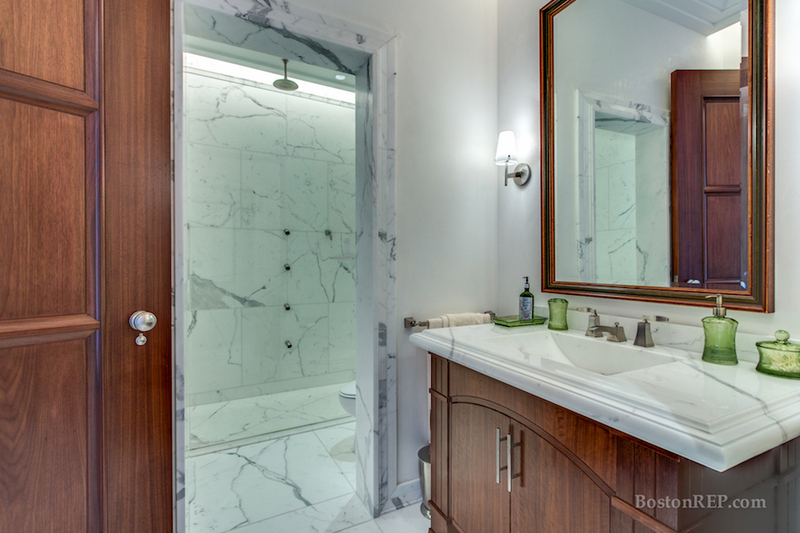 It was designed by nationally acclaimed architectural firm Booth Hansen of Chicago and built in 1999. 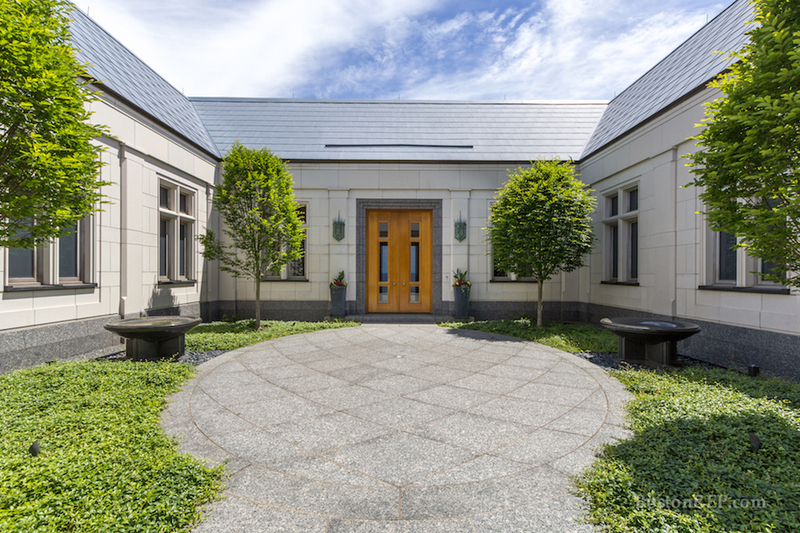 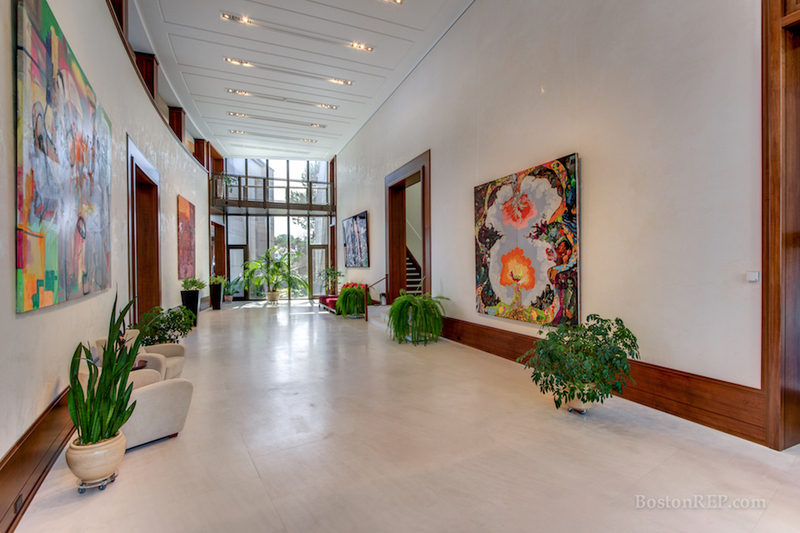 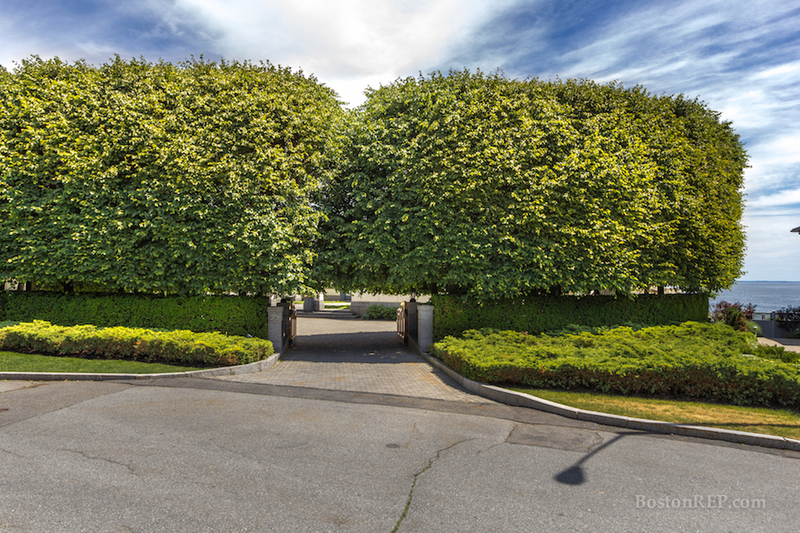 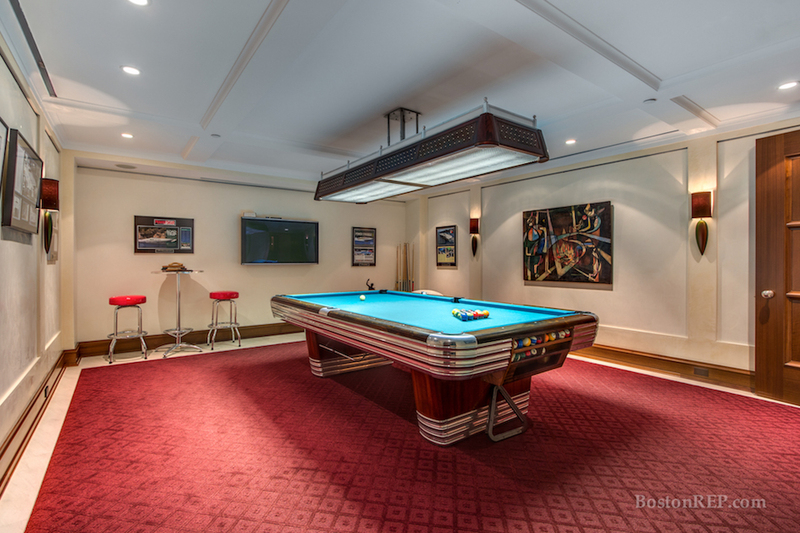 It first hit the market in 2006 for $7,995,000 and sat on the market for two years before selling for $7,700,000. 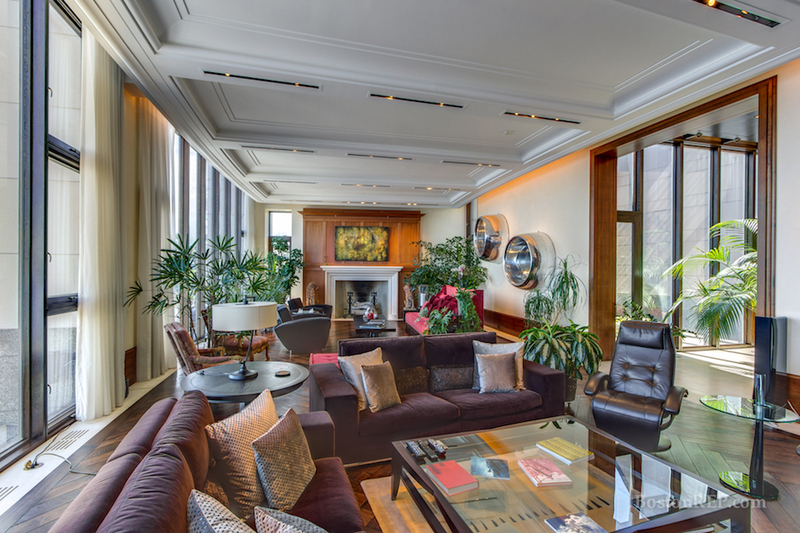 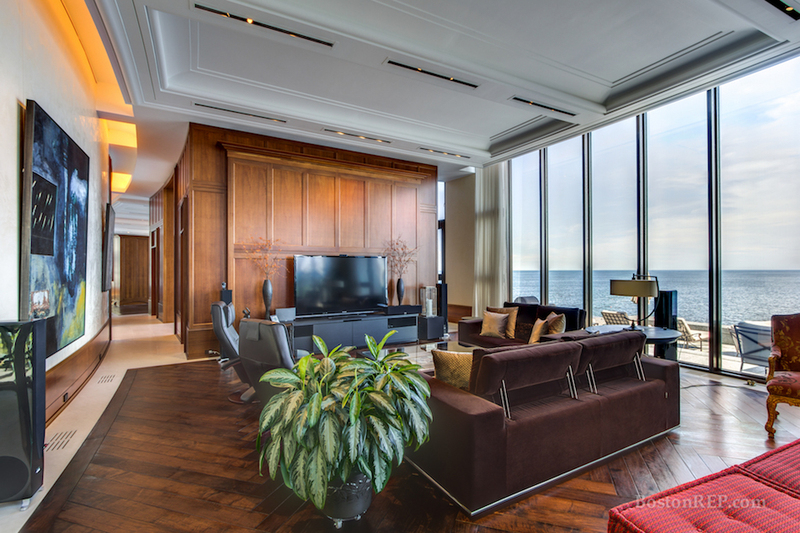 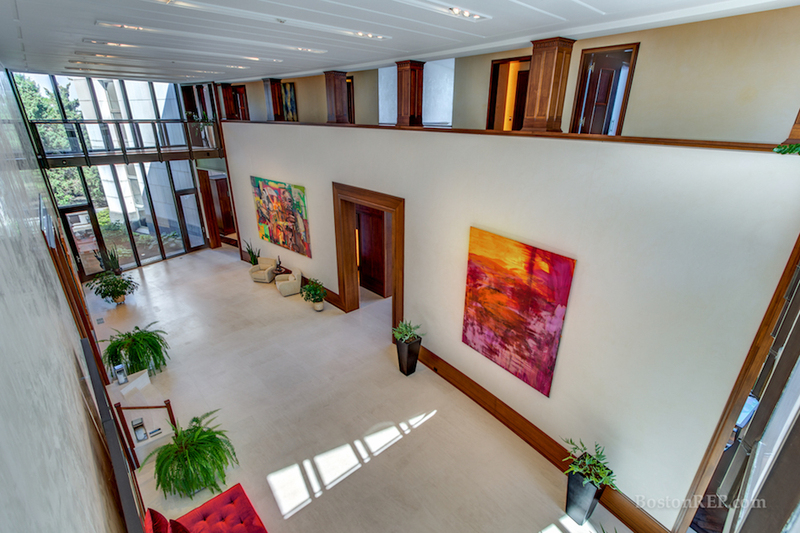 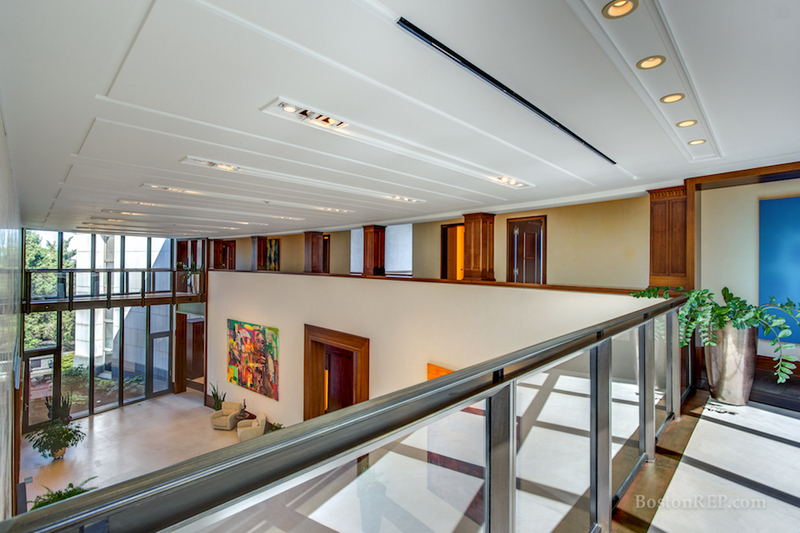 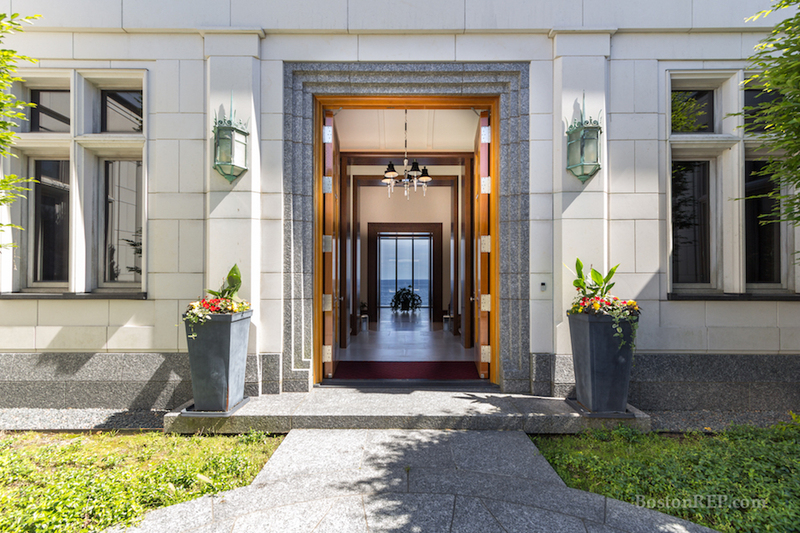 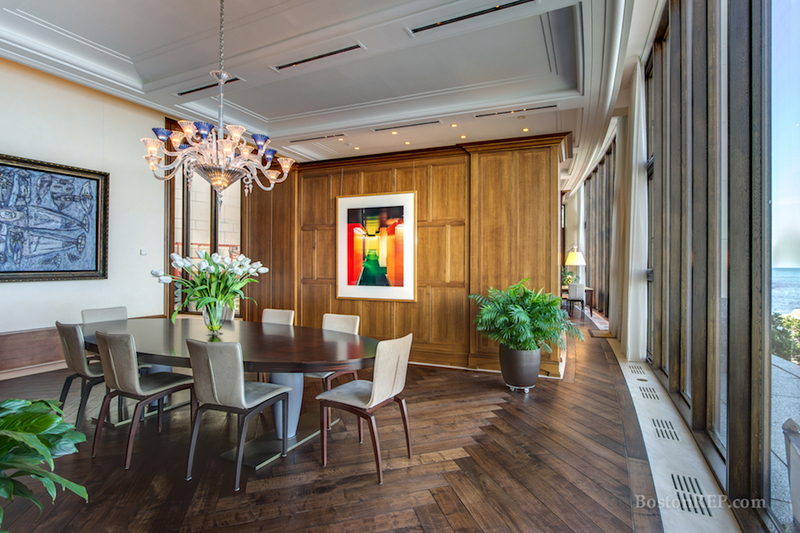 Beautifully designed with floor-to-ceiling curved walls of glass, the residence offers the finest materials, including hand selected Italian marble, black walnut flooring in a herringbone pattern and limestone flooring. 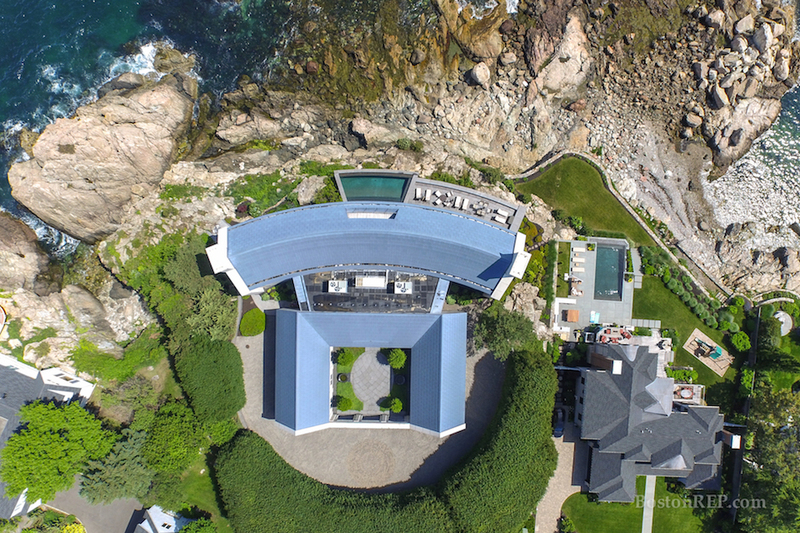 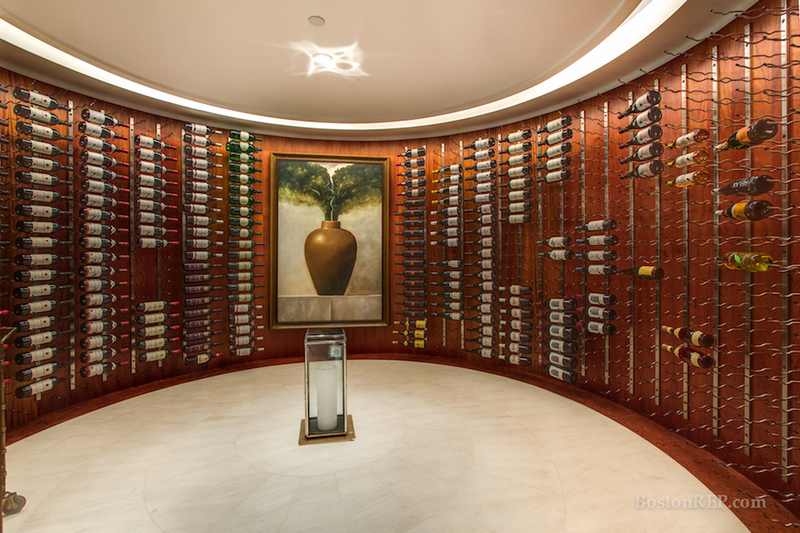 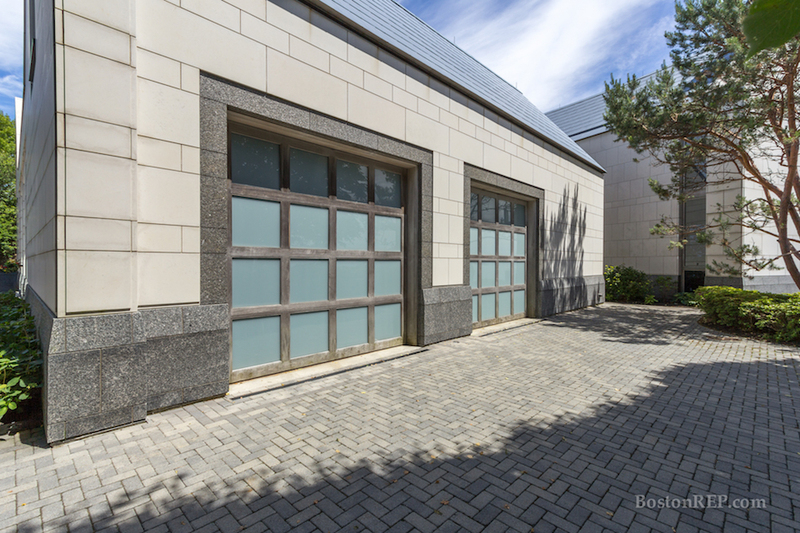 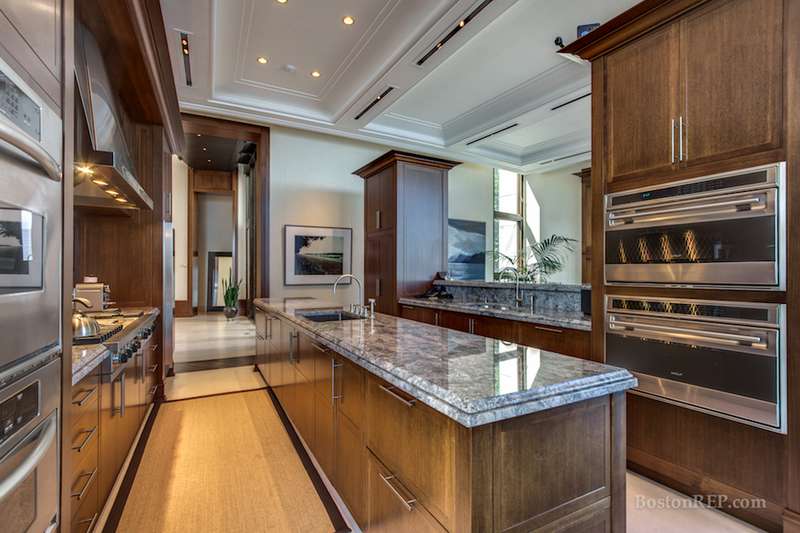 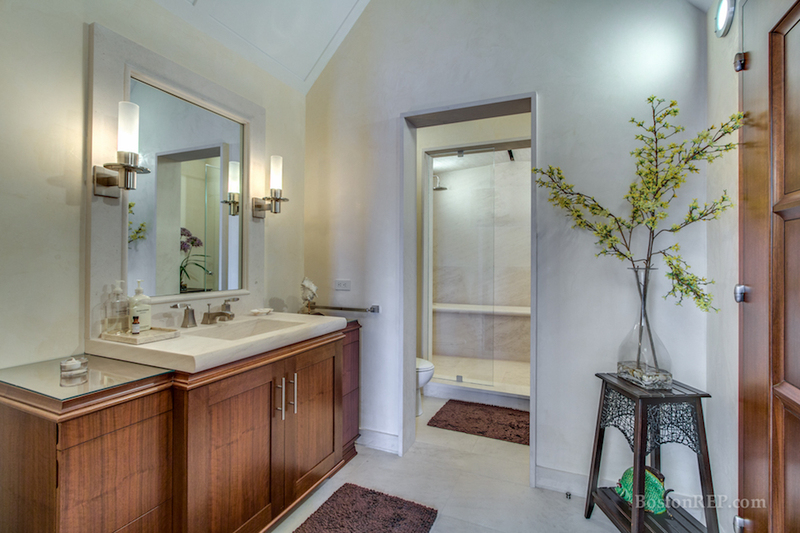 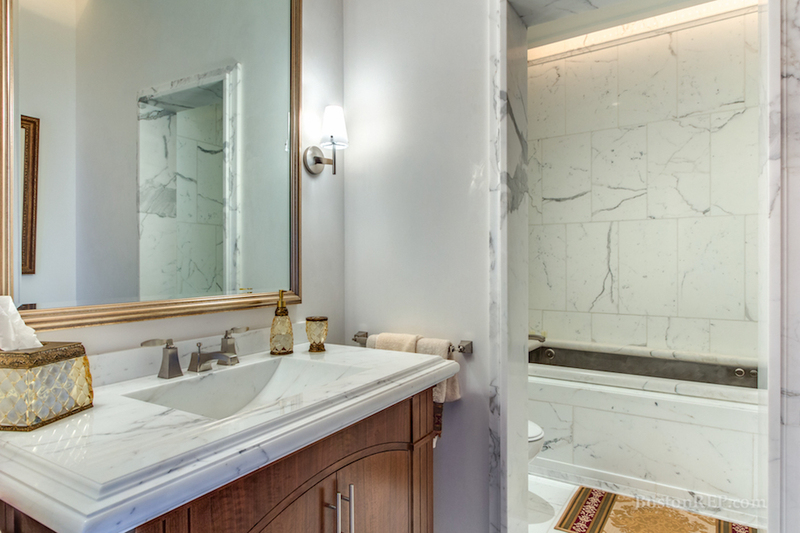 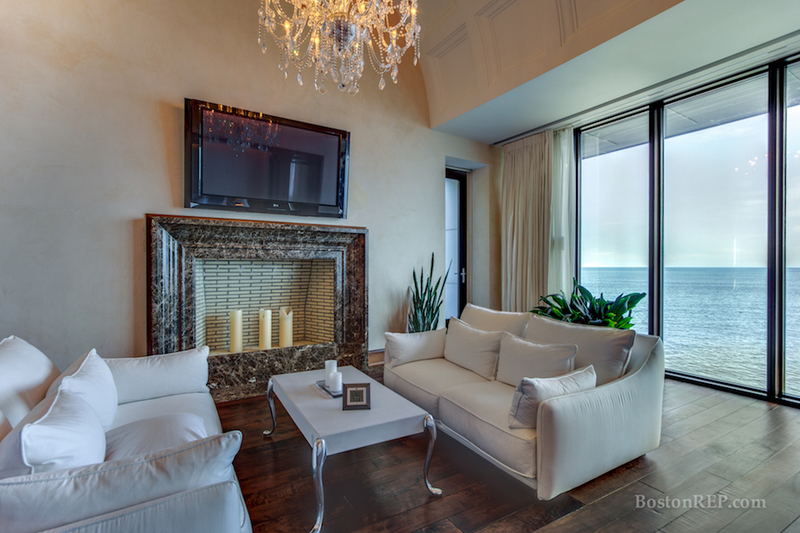 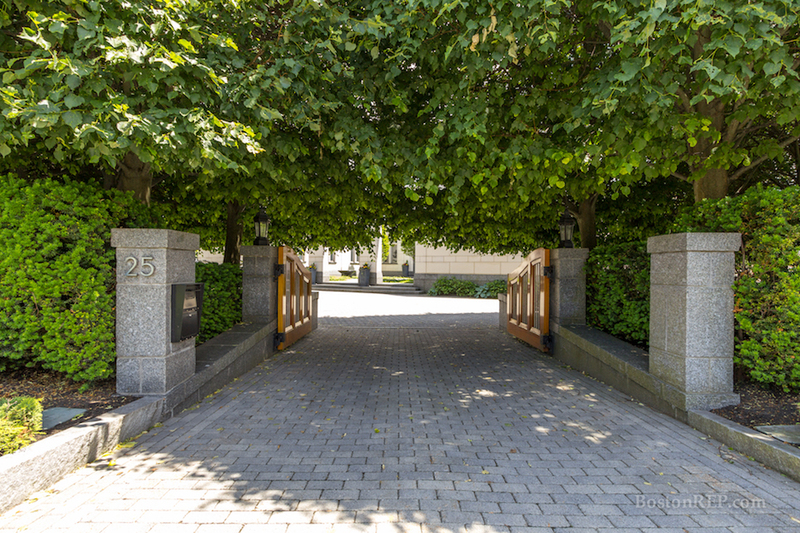 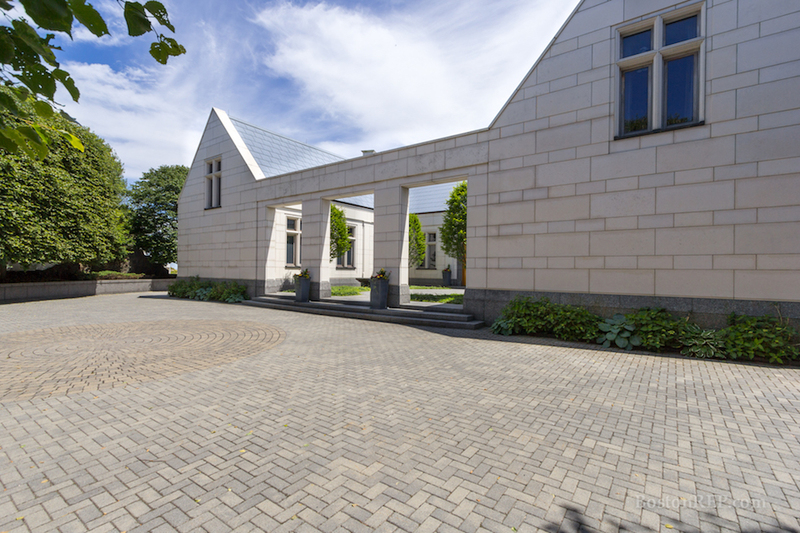 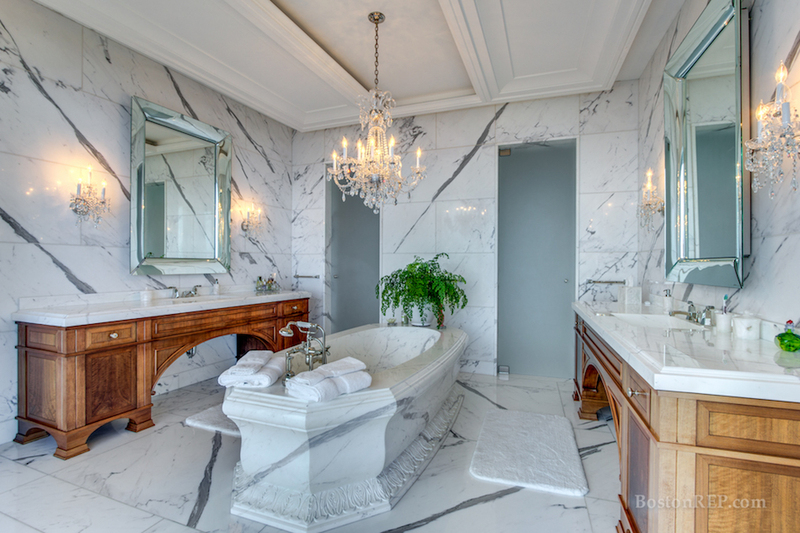 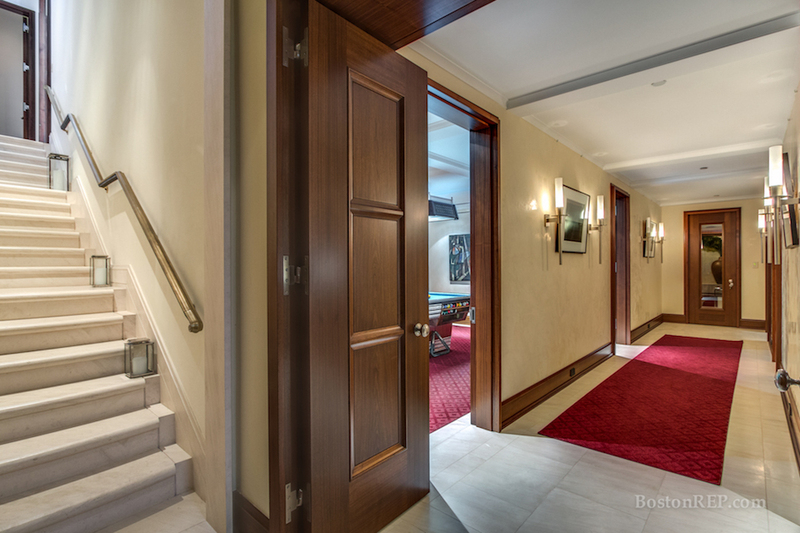 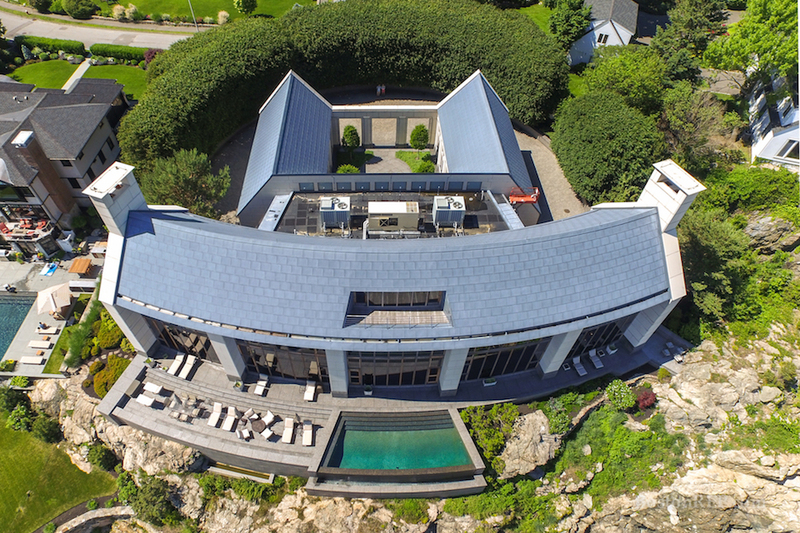 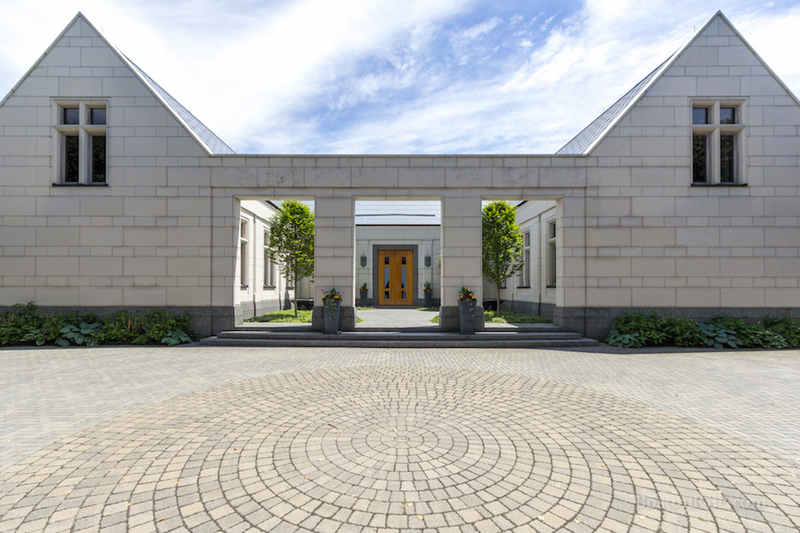 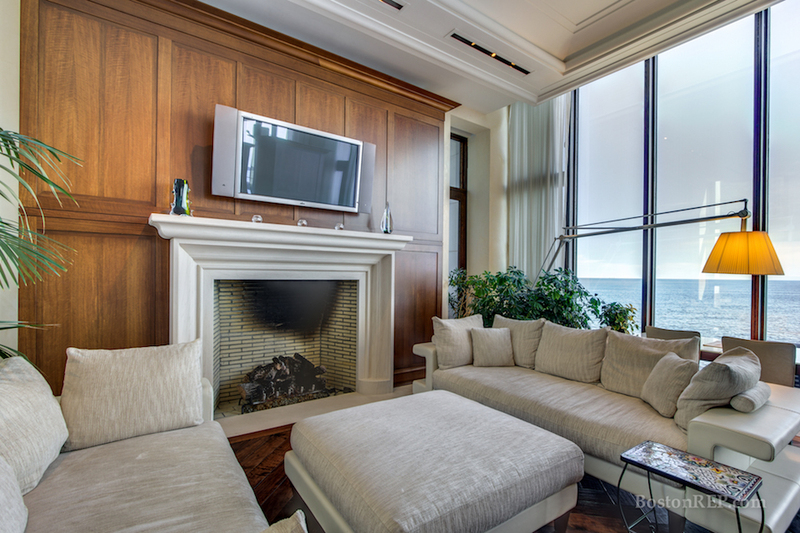 There are five en suite bedrooms, an expansive master suite, an elevator, four fireplaces a wine cellar, a Valders limestone five car garage with heated driveway and an oceanside infinity pool.